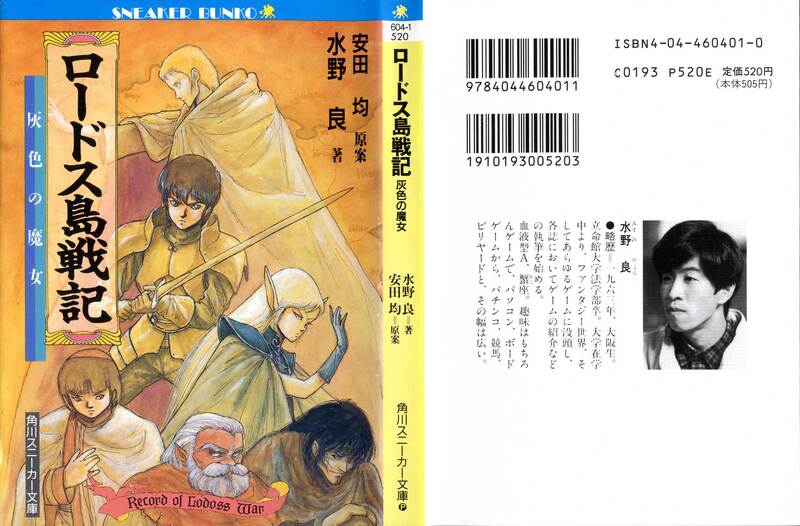 It had taken me many years, but I finally tracked down the first novel of the Record of Lodoss War novels. I’d seen the OVA years before and was a great fan of it for many reasons. It took a long time to gain the reading skill to comfortably read Japanese novels. This was on my lifetime “to do” list. Without giving potential spoilers, the plot has certain differences from the anime, which is unsurprising. It also covers only up to the showdown with Karla the Grey Witch. There are things explained better, or at different places, as a novel should, but of course not all of this can “translate” to anime, which requires poignant visual images and numerous opportunities for excellent voice acting. I found the novel to be quite interesting. This entry was posted in Anime, Art, Culture, Japan and tagged anime, art, culture, Japan, Lodoss, novel. Bookmark the permalink.